Nintendo just revealed its E3 plans, which are similar to years past. 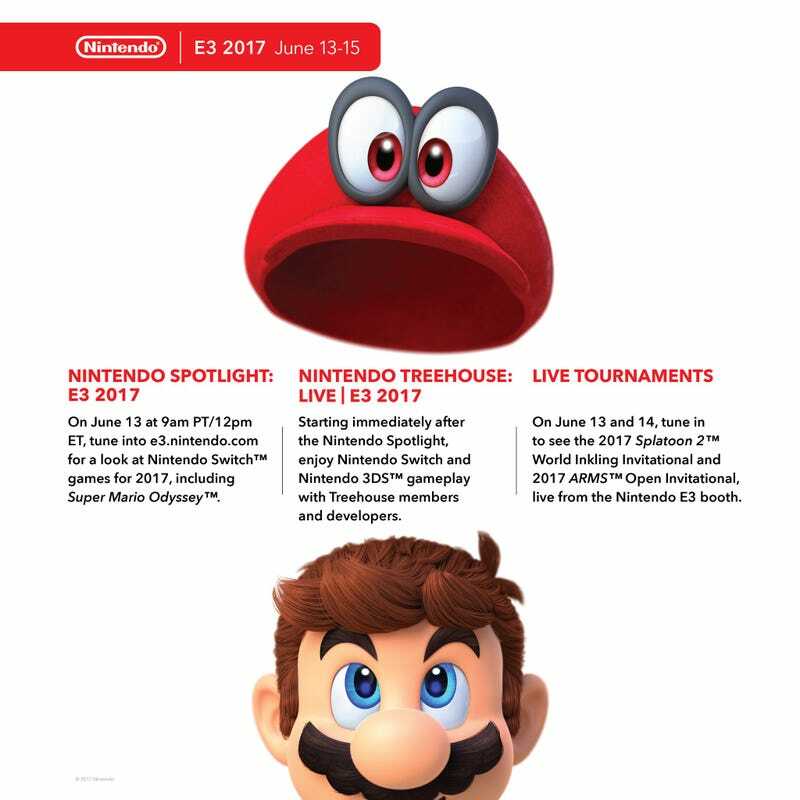 On June 13 at 9am PT, there will be a Nintendo Spotlight presentation for Switch games, including Super Mario Odyssey. That will be followed by a Treehouse Live event.